Below are some photos taken during the weekend. 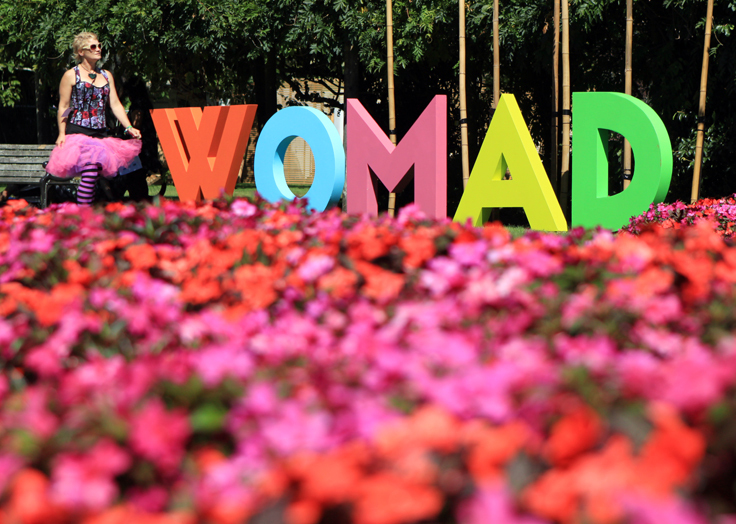 WOMAD 2017 - New Plymouth. All photos by Mckenzie Jennings Gruar. These are from the Hot8 Brass Band's Show. The band played two stellar shows on the Bowl and Gables Stages, With their hip-hop bent and their funky styles they made brass cool and 'street'. These guys were wicked. We've included a bit of a bio below and a youtube clip. Scroll on down and get on down! For over 20 years one of the most popular and visible funk-style brass bands in community parades and funerals has been the Hot 8 Brass Band. In 1996 sousaphone player Bennie Pete was instrumental in merging two former Fortier High School student groups, the High Steppers and the Looney Tunes Brass Bands, to form the Hot 8. The players grew up together and maintain strong, family-like bonds and regular membership. Most of them were born between 1975 and ’87 in a generation that grew up hearing mainly modern-style brass bands in community functions. The band can be larger than many younger groups often featuring ten members, including three trumpets, three trombones, tuba, bass drum, and snare drum. As is common among some more modern groups, the Hot 8 uses only one reed player and like most of the younger bands, the Hot 8’s funk style is a blend of influences from the Dirty Dozen and Rebirth, with more elements of contemporary r&b, rap, and its local variation, “bounce.” The uniqueness of their sound is mainly due to a steady stream of creative original songs and ideas composed or introduced by various band members. Since the Dirty Dozen, the sousaphone has had a more prominent role in brass bands as a feature and solo instrument; it frequently sets up and maintains short rhythmic (often melodic) grooves that dominate and propel most songs in the band. The story of the Hot 8 Brass Band has been one of tragedy and triumph. Over the years the Hot 8’s ranks have been decimated by the deaths of four original members due to street violence and illness. Hurricane Katrina was a life-altering turning point; after being evacuated, displaced, and scattered across the country, the band regrouped and began touring the United States to encourage and support other displaced Katrina victims and promote New Orleans’ recovery. After also performing abroad, they opened on tour for popular r&b singer Lauren Hill for six months. The Hot 8 was featured in two Spike Lee documentaries, When the Levees Broke (2006) and If God Is Willing and Da Creek Don’t Rise (2010), bringing them a measure of national exposure that has helped to fuel a steady touring schedule. The band has recorded two of its own CDs and one with the Blind Boys of Alabama. In 2012 the band put out an autobiographical CD, Life and Times of the Hot 8, and a music video over the backdrop of a Katrina-damaged city, Ghost Town. Long-term displacement across the country helped members of the band realize just how unique and special New Orleans culture is, which in turn inspired their desire to learn more about the history, sound, and style of earlier brass bands. Hot 8 manager Lee Arnold and leader Bennie Pete approached me about doing a series of workshops with the band; we watched videos, listened to recordings, talked, and rehearsed. The result was a series of concerts in which the band included traditional songs and explored long-forgotten concepts like three-part trumpet harmonies and volume shifts. A continuous fraternal relationship between the Hot 8 and me has led to some members playing on traditional gigs. Our early collaborations were re-created in a segment featured in the third season of HBO’s series Treme, in 2012.